Oh, and also, Telltale has different teams for each of their series, so the making of one season of one series doesn't delay the making of more seasons for other series. Everyday that I come on here and see that there's no new post this song pops in to my head. Edit. And today is one of those days. I am very upset that there is no news, EVEN no hints. I'm sad.. They created season 2 and I spent $20.00 for 5 episodes! You can't even play MCSM S2 on my Samsung Galaxy S9+ (It's also unavailable for download now) because of the bugs but MCSM S1 runs fine?!?okey....... IDKW but they actually have not done an update to the game after the last release of episode 5 (Last year!). It's very very strange TBH. Something is very fishy....Eric Stirpe what are you up to? Well, season 2 didn't come out for the PS3, and my PC handles season 1 much better that my PS3, but it still has to run season 2 with low graphic settings if I want to play it without low FPS. 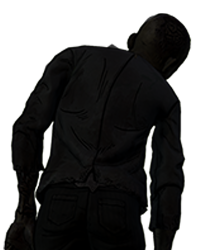 I think that the new telltale engine has some internal stuff that makes it more consuming for some devices to handle, but it gives the games better graphics if you are using more powerful devices. But still, I think that compromising the buy from users with lower end devices for better graphics is not that good. You can't even play MCSM S2 on my Samsung Galaxy S9+ (It's also unavailable for download now) because of the bugs but MCSM S1 runs… more fine?!?okey....... IDKW but they actually have not done an update to the game after the last release of episode 5 (Last year!). It's very very strange TBH. Something is very fishy....Eric Stirpe what are you up to? I feel like Season 2 needs to be on Nintendo Switch. I would pray to God at least for the last third season, let him be the last, at least he was! Forgot to mention that MCSM S2 is suppose to run on Samsung Galasxy s6 and up and it does! I played on my Galaxy s7 edge but now that i uppgraded to my very powerful s9+ its unplayable becuase of the bugs. Honestly it feels like they have not started to market the game yet or something. They seem to need more time to get a grip with the new engine. It's mindblowing that its not on the Nintendo Switch. Well, season 2 didn't come out for the PS3, and my PC handles season 1 much better that my PS3, but it still has to run season 2 w… moreith low graphic settings if I want to play it without low FPS. I think that the new telltale engine has some internal stuff that makes it more consuming for some devices to handle, but it gives the games better graphics if you are using more powerful devices. But still, I think that compromising the buy from users with lower end devices for better graphics is not that good. -Order of the Stone are on another adventure and find portal. 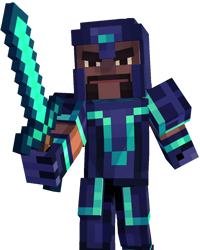 They open him and free Herobrine. became a legend. 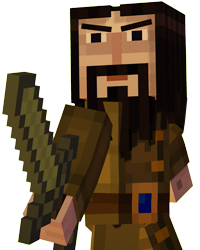 But now Notch is hermit on exile from unknown reasons. -Order of the Stone try to find Notch. 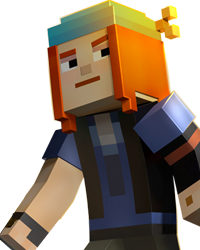 Judging by fact that Jesse either leaves with Petra, stays in BeaconTown, Romeo needs to fix his relationship with Xara (Depending on the players choice) and Ivor needs to mend his connection with his friends are all hints for Season 3. Yes, and who are these followers of Soren? You hear about them a few times in season 2. 😆 that would be the best! Why? What you exatly do not like? 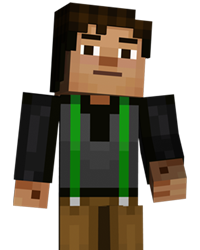 minecraft story mode needs more ivor right? Ivor: "THIS PLACE IS SOOOOOO SHINY AND SPARKLY!!!!!! I LOVE IT!!!!" Petra: "Ivor, you dont have to yell. I'm right next to you. There's barely anyone else here." Ivor: " I CAN YELL HOWEVER LOUD I WANT TO!" Guard (its at a castle):-"Huh? is something wrong? oh. it's just Ivor yelling." Lukas: "Ok, could someone please explain what's going on here?" 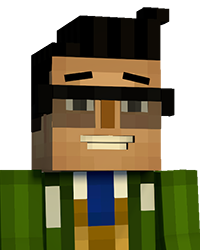 I can’t see Minecraft: Story Mode Season 3 happening. This is because we have a Minecraft Movie starring Steve Carell in 2019. Do we really want MCSM jumping in front of this full length movie? Also, it is best to end MCSM there, since they said that “We have a lot of work to do”. Do we really want more MCSM episodes? Hey! I want more episodes! 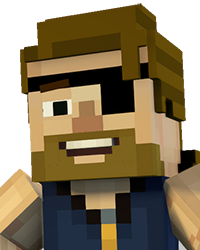 I can’t see Minecraft: Story Mode Season 3 happening. This is because we have a Minecraft Movie starring Steve Carell in 2019. Do … morewe really want MCSM jumping in front of this full length movie? Also, it is best to end MCSM there, since they said that “We have a lot of work to do”. Do we really want more MCSM episodes? I FINALLY made an idea for MCSM season 3 episode 6. I had to tweak a lot of unrealistic things to make it seem like actual-episode worthy. You got that right. Long live my lava house! 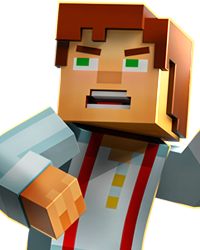 Long live Minecraft story mode! The main idea of this thread is speculation about when will it come out, and theorizing about what could happen in season 3 based around what we have now (WP, Aiden redeeming himself, Ivor trying to fix his friendship with the old order, etc. ), not straight thinking a whole story for the season and DLC. Yes, but the chances of MCSM S3 happening is slim because we are inching closer to Minecraft: The Movie. Sure, we may get some episodes from time to time (WP?) but for a whole new season the chances are decreasing. I saw that MCSM S2 needed an update and I freaked out...... only to find nothing changed but bug fixes (xbox one).